April is National Car Care month, and now is the best time to get your vehicles in to your maintenance specialist for a comprehensive inspection. Systems in your car may have been neglected or damaged by winter conditions on the road, and now that the threat of severe winter weather is over, it’s time to think about warm-weather fun. According to the Auto Care Association, more than 35 million motorists are planning to take a trip by car this Memorial Day weekend, which means that April is the perfect time to get your motor affairs in order so you can hit the road for everything summer travel has to offer! What can you look out for to make sure your car is ready for the summer? Check Brakes and Brake Pads. Salt on the roads, potholes, and snow- oh my! 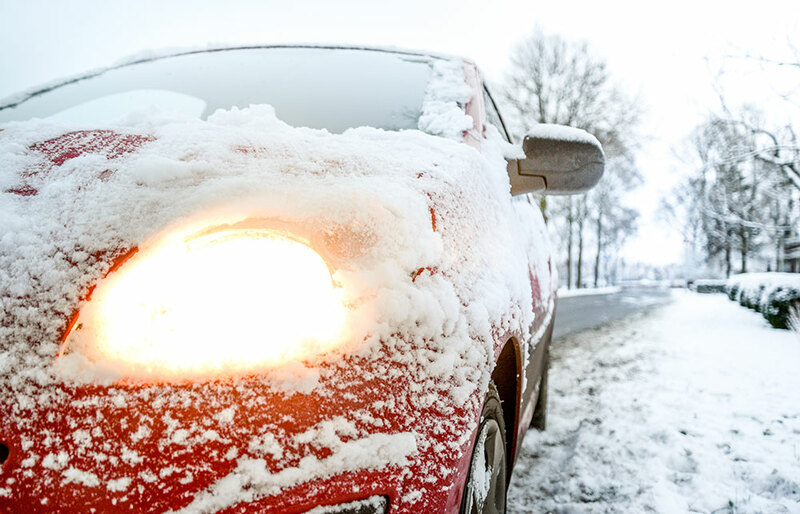 Winter weather and road treatments can wreak havoc on your brakes and their brake pads. Heading to your technician to get these checked out and replaced means safety for you and your family. Windshield Wipers. Ice can rip the rubber treads on your wipers, rendering them less effective in the spring rains and summer storms. If you notice droplets that remain untouched, or that visibility isn’t as clear as it has been in the past, it’s time to replace your wipers, front and back. Tires. Spring months are often the wettest of the year, and if it’s been over a year since you’ve inspected your tires, now is the time to do so. A balance and rotation should be on that spring checklist, as well as a tread check. Treads should cover the top of a penny when inserted, and if you’re finding less rubber, it could be time for a replacement. Check out this infographic for a list of ten basic preventive maintenance measures that the Car Care Council recommends during National Spring Car Care month to keep your vehicle running at its best. Be sure to inquire with your professional installer if they use Mighty Auto Parts and take advantage of a variety of consumer rebates available on select services and products during the months of April and May. For more on what you’ll find at your Mighty Auto Parts dealer, visit our website. Thanks for this information. It was really interesting and knowledgeable. Great work keep going. Thank you.